In the wake of an event as heavy and gravitational as the State of The Union Address, the media flails and falters to an alarming degree. They know that all eyes are on them in the moments after the President speaks, and again after the opposite party’s often-mundane rebuttal. So, in order to keep the ratings high, the mainstream media will often resort to bizarre and blatantly biased gaslighting. This immediate sensationalism, applied in the moment immediately following the President’s speech, naturally distorts the words spoken into the agenda of the media. 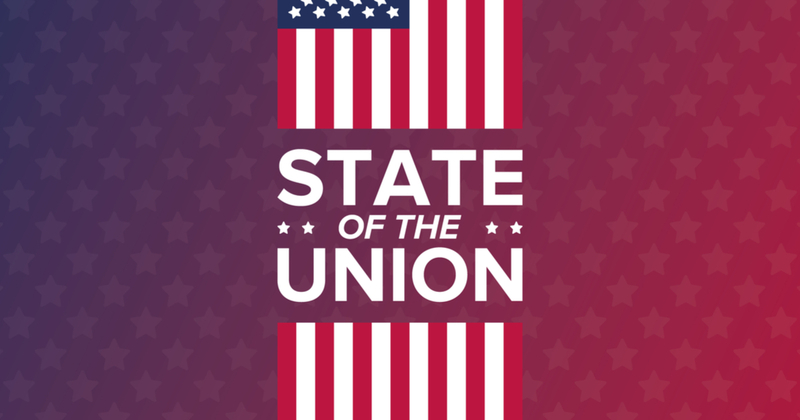 There is seldom any time for Americans to process the actual state of our union before we are being screeched at by some overpaid talking head whose job it is to make us uncomfortable. That is why, in many ways, polling is a far more accurate representation of what Americans feel than what the media portrays. Some outlets, such as MSNBC, even went so far as to assert that the President is in a constant state of untruth, being “not attached” to anything that he says.